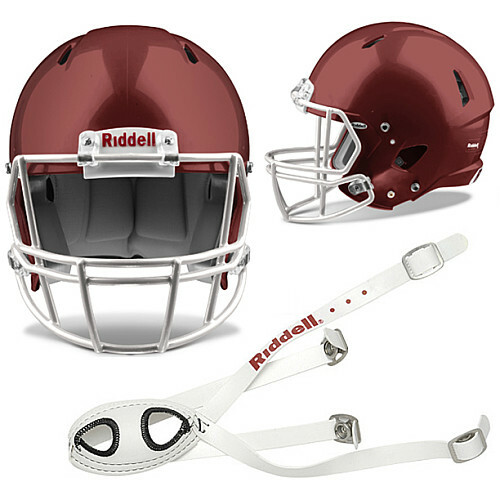 Riddell is undoubtedly one of the world’s most reliable manufacturers when it comes to youth football helmets, and the Revolution Speed Custom football helmet is a perfect example. It was constructed using inflatable S-pads and neck/side liners for extra protection, while a series of oversized holes on the shell support air circulation. As for the liner, it is moisture-resistant and antibacterial, which means that it provides much-needed comfort during lengthy matches. Other noteworthy elements include “no rust” stainless steel hardware, a mid hook-up soft cup chin strap, a built in T-nut wrench and a high-impact ABS shell with a 3-year manufacturer warranty. We should also note that the wearer will need a special pump in order to inflate the pads located inside the helmet.